The CPP Parking Card is a convenient alternative to cash or credit card. 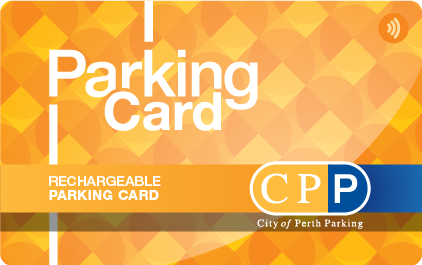 It can be used in most CPP car parks, at ticket machines and kerbside on-street meters within the City of Perth boundaries. Plus every time you top up, you receive a 5% bonus! CPP Parking Cards are available by downloading the application form via the link below. Complete the details and email the completed form to the address specified.